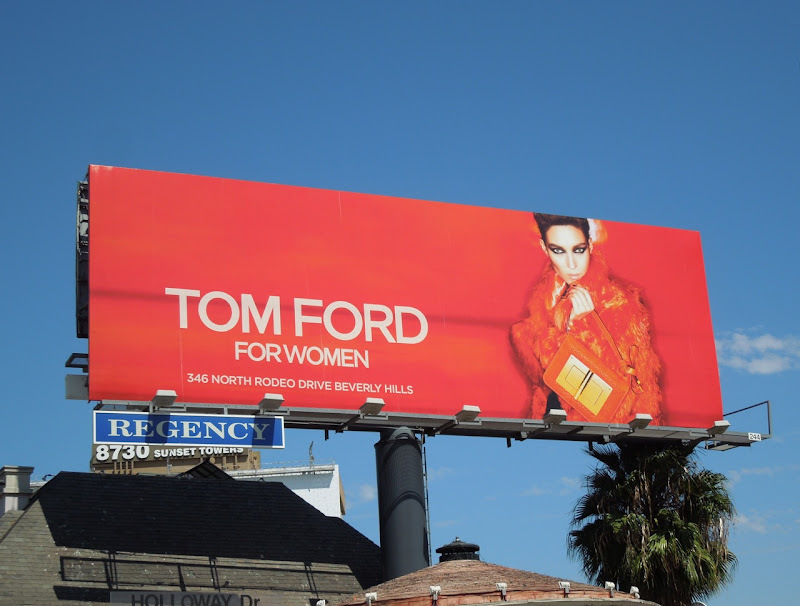 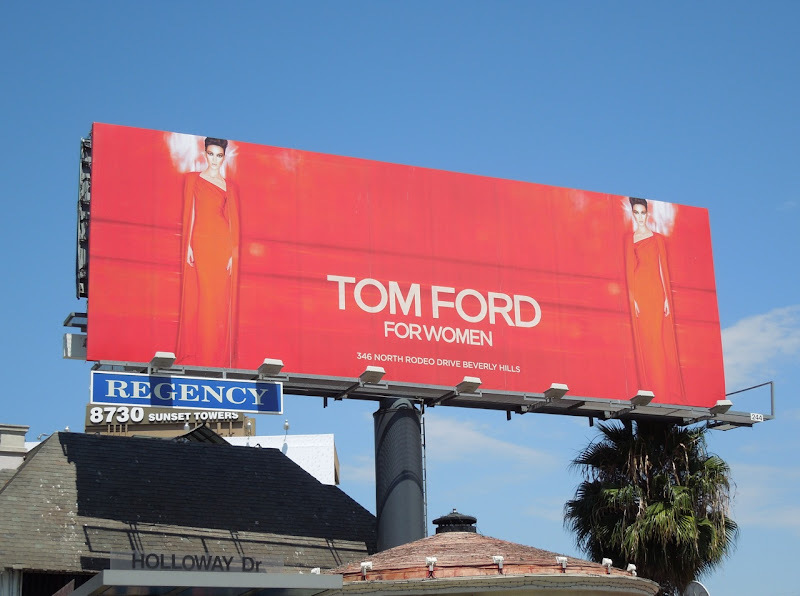 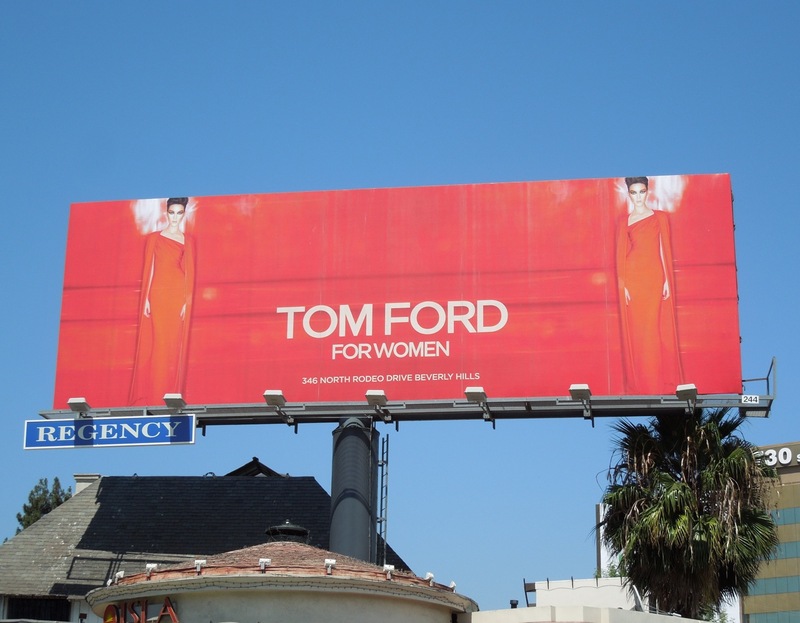 You can depend on Tom Ford to be ultra stylish and amazingly eye-catching at the best of times, but this striking red billboard for his Fall/Winter Women's Collection is simply spectacular. 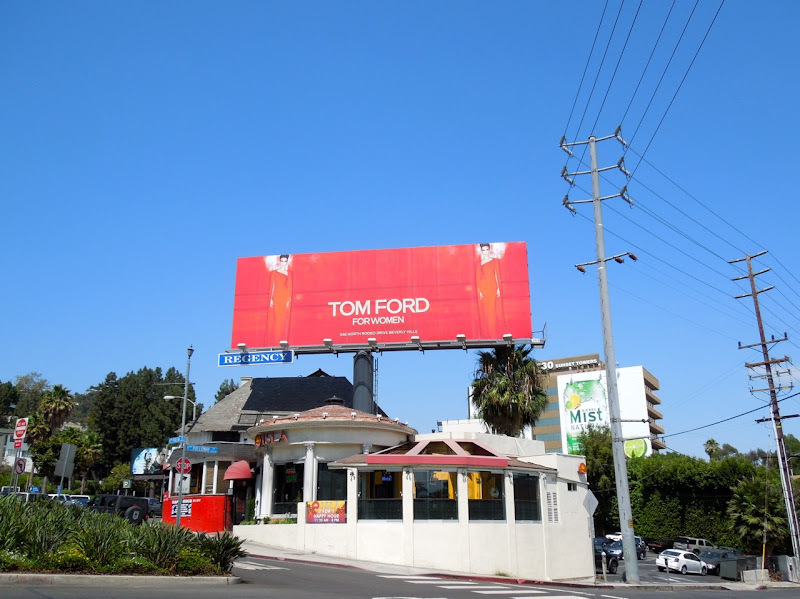 Kati Nescher looks bold and beautiful in this sleek and simple mirror image creative along L.A.'s Sunset Strip on August 1, 2012. 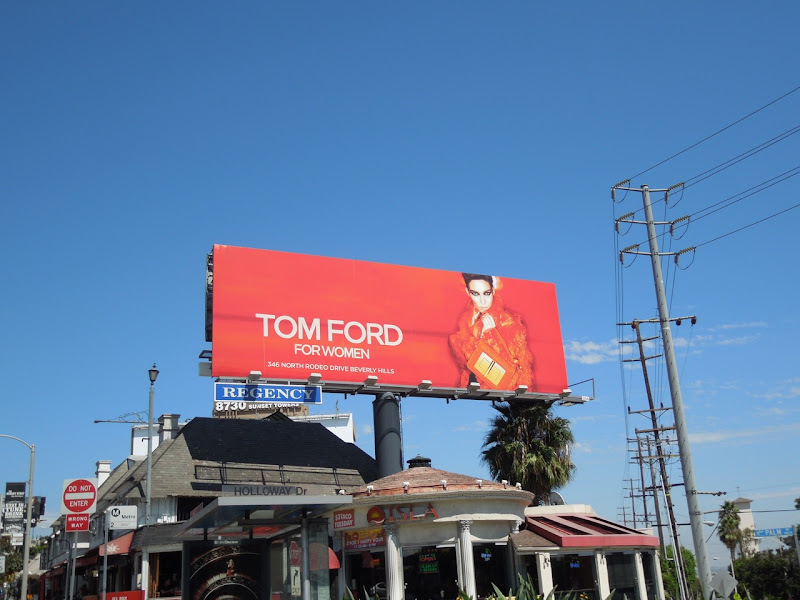 The rich hued billboard really makes a strong statement against the blue Californian sky and is a real colour contrast from the recent provocative ad for Tom Ford's Neroli Portofino fragrance line. 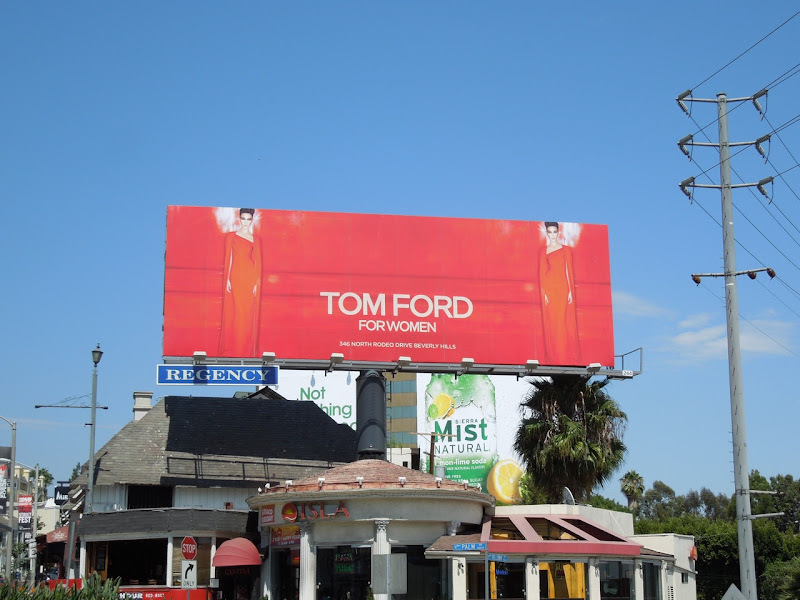 If you're a fan of the luxury brand, be sure to also check out this arresting Tom Ford Eyewear billboard from 2008. 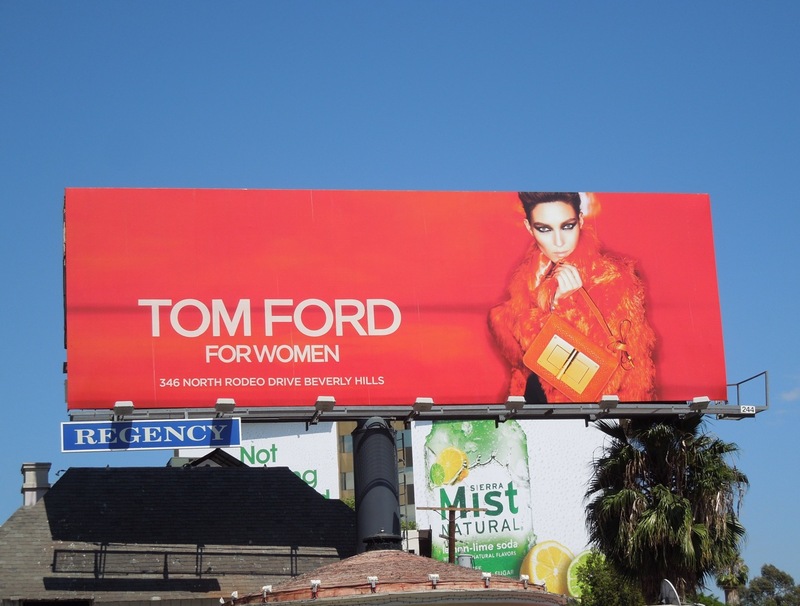 UPDATED: Here's another stunning billboard from Tom Ford for Women, this one showcasing the fashion brand's desirable handbag accessories. 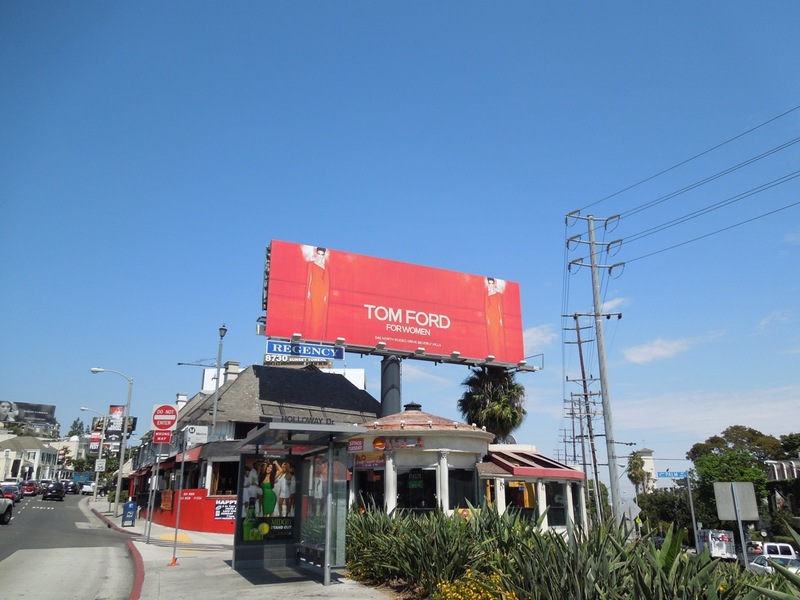 This striking creative was snapped in the same high-profile Sunset Boulevard location on August 31, 2012.